Gary Bredehoft ran track and cross country at Columbus High School in Nebraska. He holds the schools cross-country record. He was an “I Dare You” leadership award winner given to a graduating senior. A scholarship holder, Gary ran cross-country at Platte College for one year. He was an assistant track coach at Columbus high school in the late 70’s. He holds a bachelor’s degree from the University of Nebraska with a 3.8 GPA. While raising and supporting a family Gary was an assistant coach for the Lincoln Youth Track club for 6 years including cross-country and track. He was director of the track and field program for the Lincoln Track Club and the Nebraska State games for 10 years. Gary participated and competed in numerous road races, track and field competitions and marathons. Consistently finishing in the top overall and age group results. Gary is the present co-director of the Lincoln Marathon. Gary has been an active volunteer in many local organizations and clubs. As an adult Gary learned to swim at the YMCA, and took up cycling, He knows what it takes to learn a sport from scratch and work from the bottom up. He has since worked to become the Nebraska State Games Triathlon Champion four years including in 2000 & an Ironman Triathlon World Championship Qualifier in 2004. Gary has also competed and won Duathlon and Cycling time trial competitions. Gary is a Certified Strength and Conditioning Specialist from the National Strength and Conditioning Association as well as a Certified Personal Trainer through the American Council on Exercise. 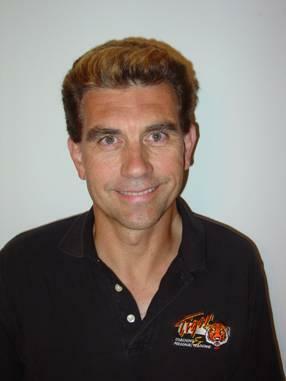 He is a certified USA Triathlon coach through the Olympic-training center in Colorado Springs, Colorado. He is an Ultrafit Associate Coach of Joe Friel’s Worldwide coaching staff and he was a past volunteer assistant coach for the University of Nebraska Cross Country and Track Teams. Gary is a certified Spinning Instructor through Madd Dogg in Boulder Colorado; he is an active instructor and past director of the spinning program at the YMCA in Lincoln, Nebraska. Gary has directed and coached a Triathlon clinic at the YMCA for 10 years, including over 150 participants within that period. He has coached and trained individuals to compete in their first sprint triathlon, 5k road race to a marathon and Ironman competitions. Gary was a past Coach for the Leukemia & Lymphoma Society Team-In-Training National Program including Running/Walking, Cycling, and Triathlon.